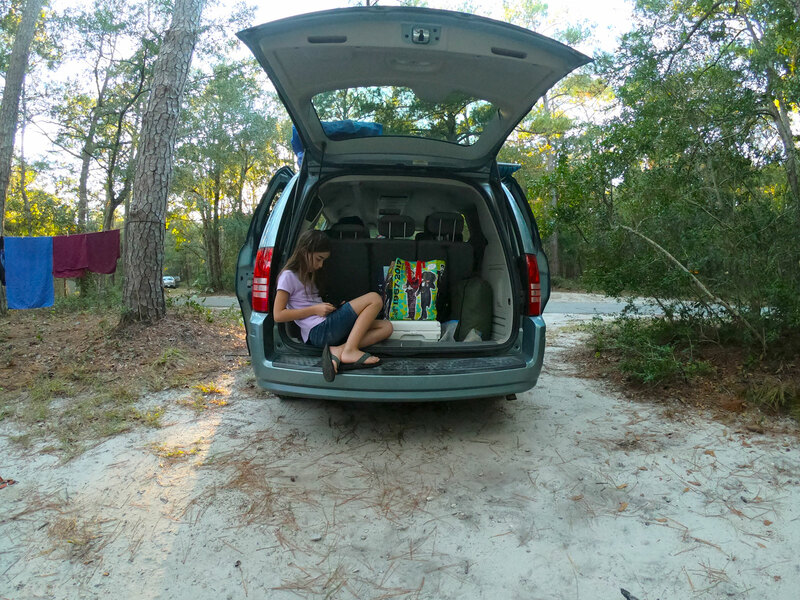 A leisurely 8:30am departure, from as far west as Raleigh, Charlotte, or Columbia, will get you to the visitor center at Fort Fisher Recreation Area in time for a picnic lunch at any of the twenty-three tables available. Colorful monarch butterflies in the middle of their 3,000-mile migration from Canada to Mexico are frequent luncheon guests. 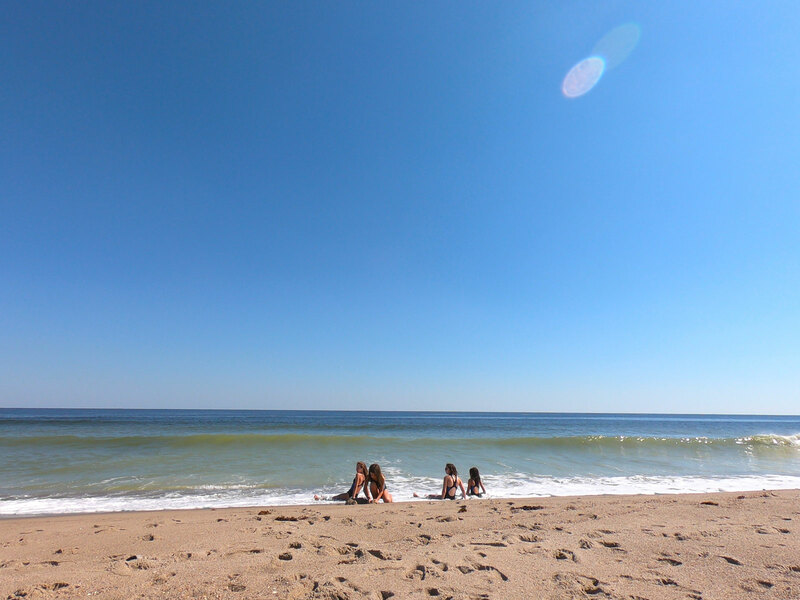 After a stop at the convenient bathrooms and changing rooms, all that stands between you and the Atlantic is a short stroll on the boardwalk through the dunes where the breaking waves are the perfect frequency for book reading, boogie boarding, or body surfing. 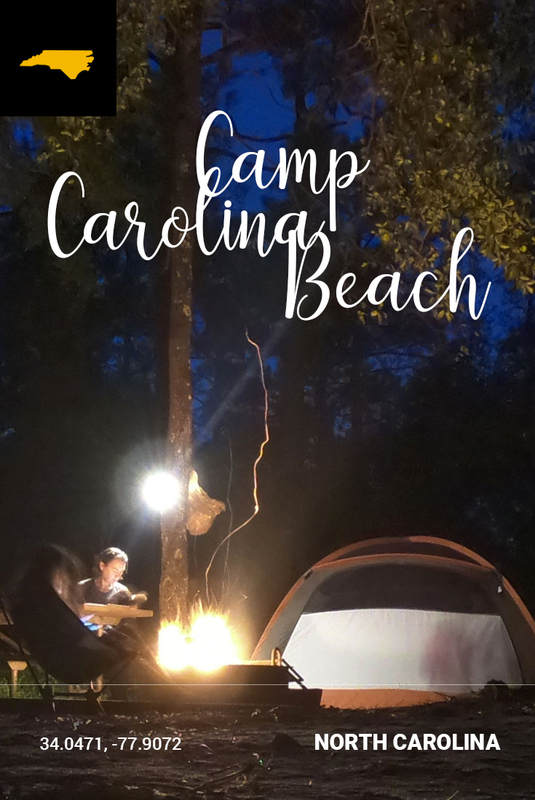 You can enjoy all this knowing that Carolina Beach State Park campground and a warm shower are just 7.5 miles down the road where 83 campsites are tucked under a shaded coastal longleaf pine forest. Already have reservations? 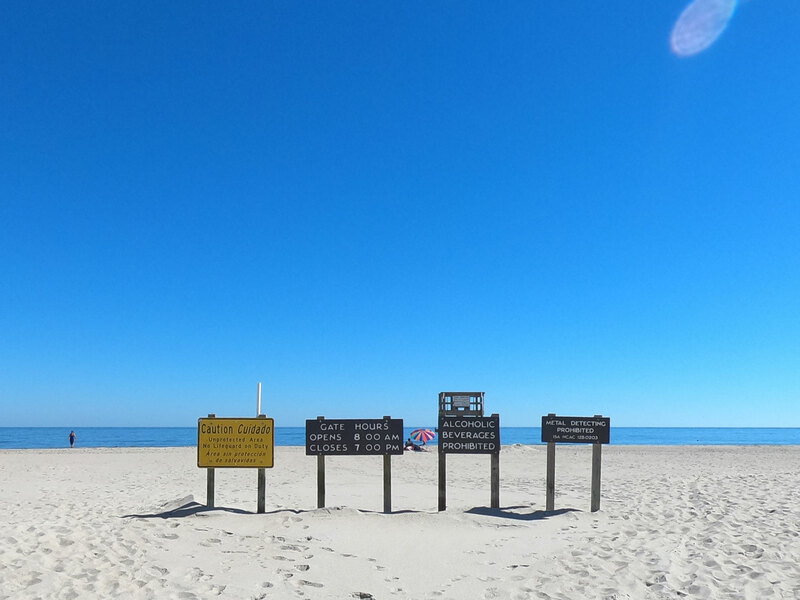 Head past the visitor center and proceed directly to the check-in at the marina along the Cape Fear River. Autumn also brings welcoming nighttime temperatures in the 50's and a resident mosquito population that seems content to keep mostly to itself. 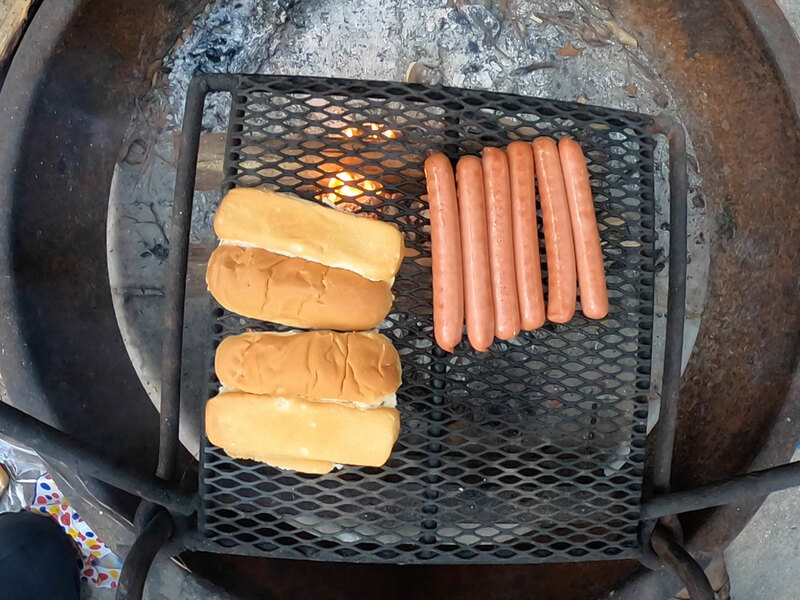 After a long day at the shore, you'll welcome an early fall sunset but not before enjoying a gentle campfire, a round or two of hot chocolate, and requisite s'mores! 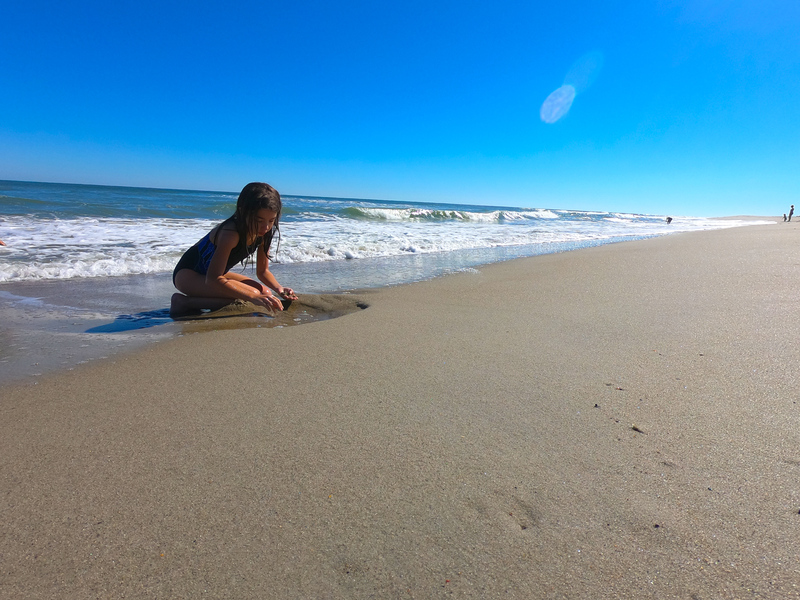 Knowledgable park rangers (ours had 25 years at Carolina Beach State Park) offer programs even in October (all year-round actually!). 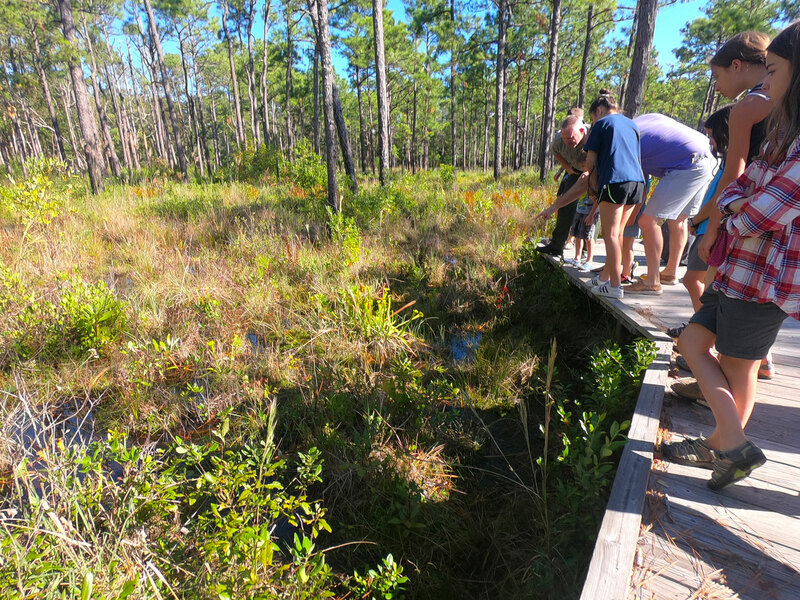 We highly recommend the carnivorous plant hike where you'll track down three species of protein-loving plants, all native to North Carolina, including the exotic Venus flytrap, which is found only within a 70-mile radius of the park anywhere in the world. 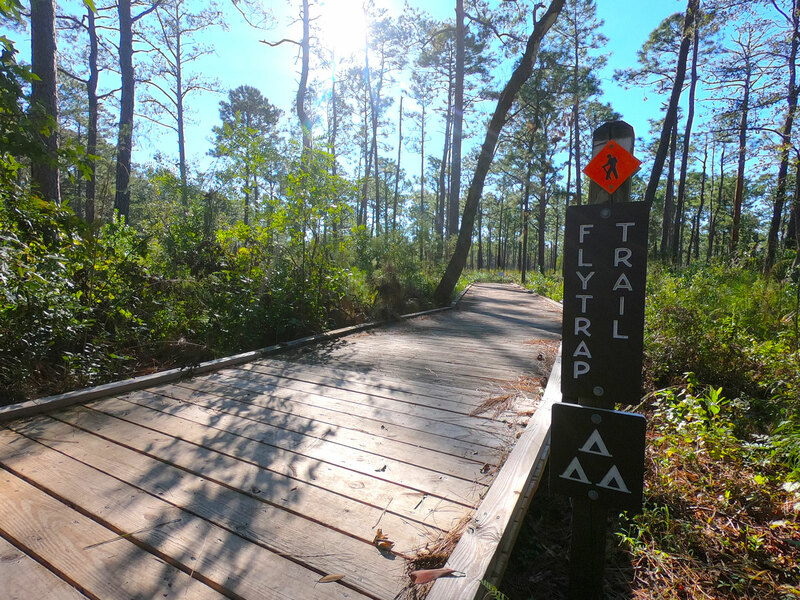 Combine the Flytrap Trail, Swamp Trail, and Sugarloaf Trail and over the course of four miles, you'll experience three different coastal forest environments – coastal fringe sandhill forest, pocosin wetlands, and longleaf pine and wiregrass savannas. 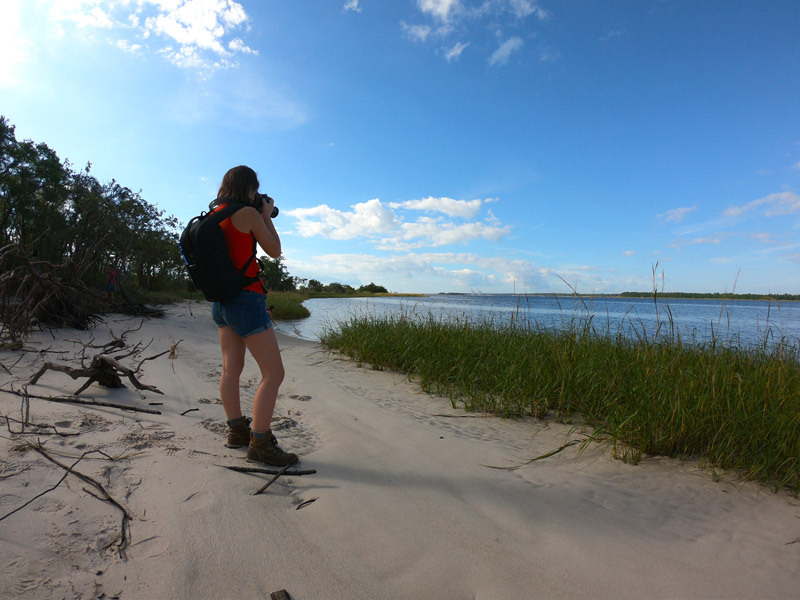 Throw in tidal cypress-gum swamps and the brackish marsh that runs along the Cape Fear River, and you'll have experienced much of the biodiversity that the North Carolina coast has to offer. 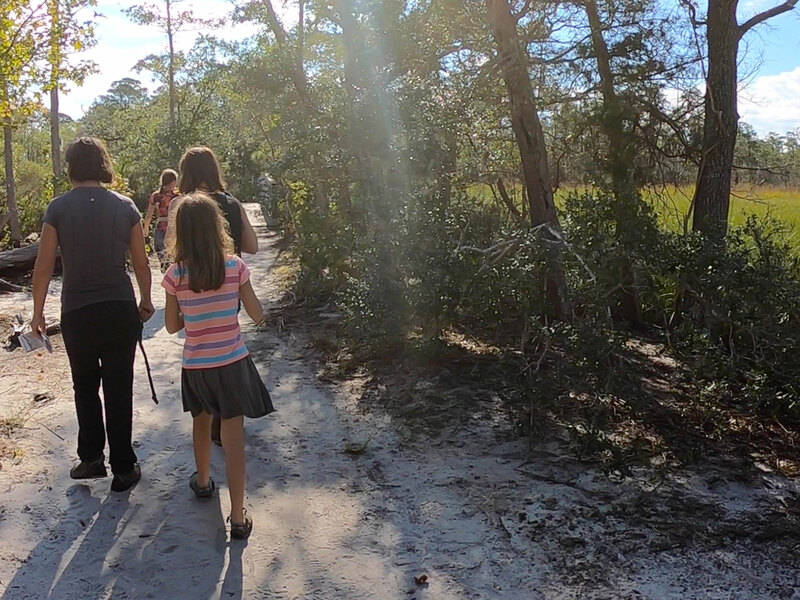 And if that isn't enough, once a month, Cape Fear Astronomy Society offers a free night sky program with viewing telescopes at the visitor center. Check for times and dates on the park website. 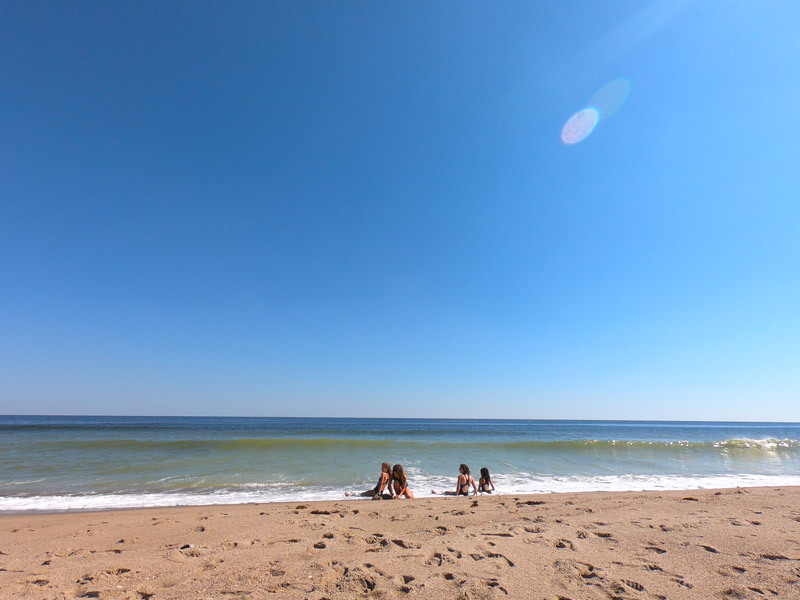 If the weather takes a turn, you are just a quarter-mile from the NC Aquarium at Fort Fisher. 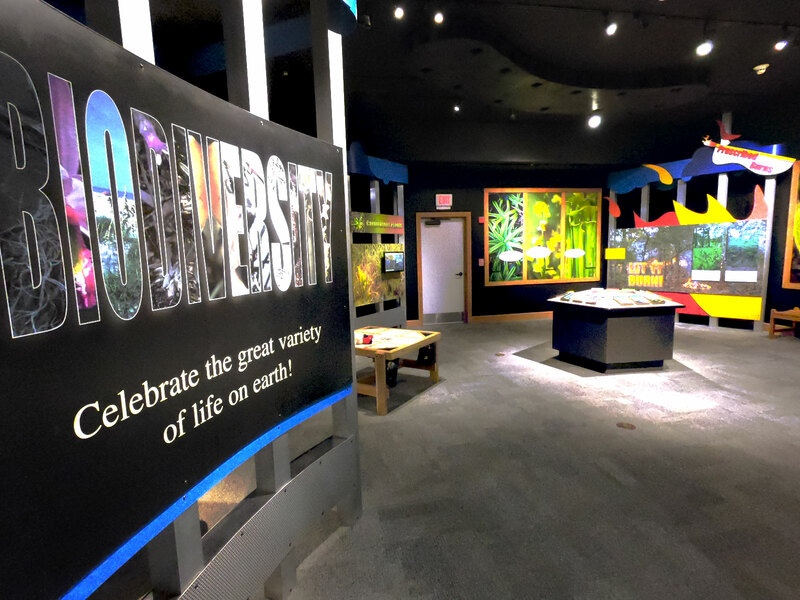 The exhibits teach about North Carolina coastal and inland ecologies. In addition, the aquarium features a seasonal outside dinosaur walk with life-sized animatronic beasts. 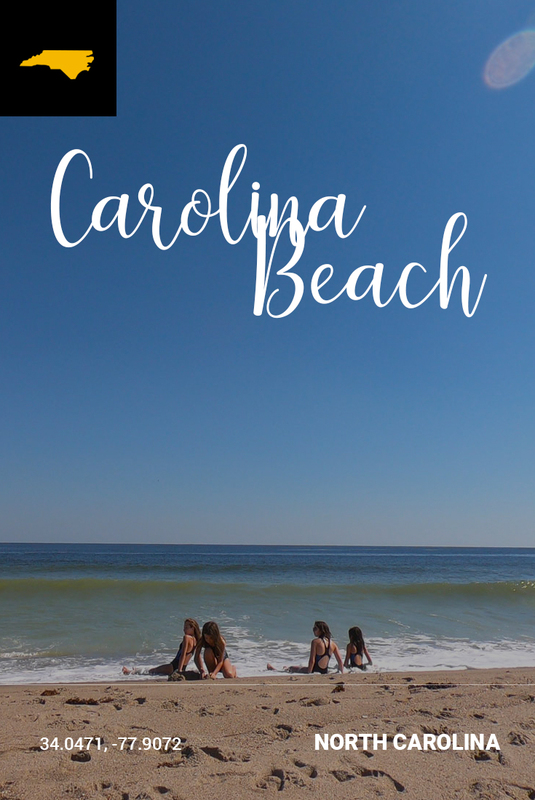 Only 30 minutes to downtown Wilmington from Carolina Beach State Park, stop at the Battleship North Carolina Memorial, an authentically restored World War II battleship. Investigate all nine levels of this ship – engine room, mess deck, berthing areas, and so much more. 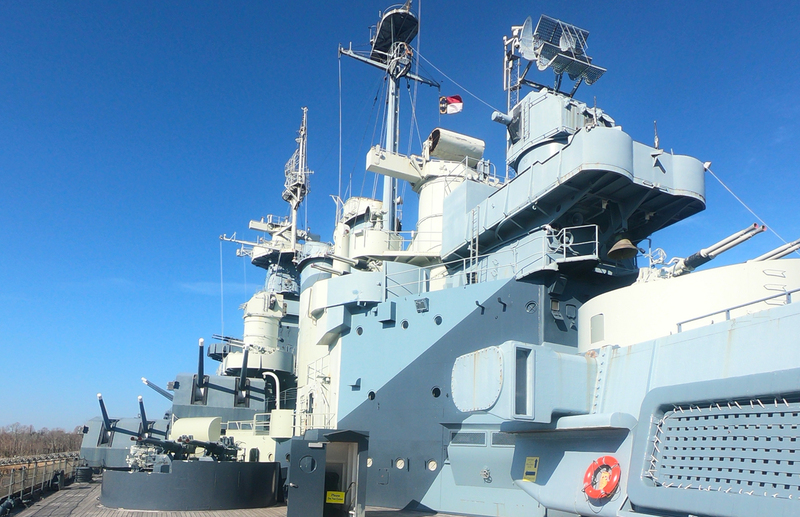 Leave yourself a couple of hours to explore the battleship and read the signage – the quotes from the servicemen about their positions bring life to the history of this battleship. Very little roped off and lots of ladders. No air conditioning. 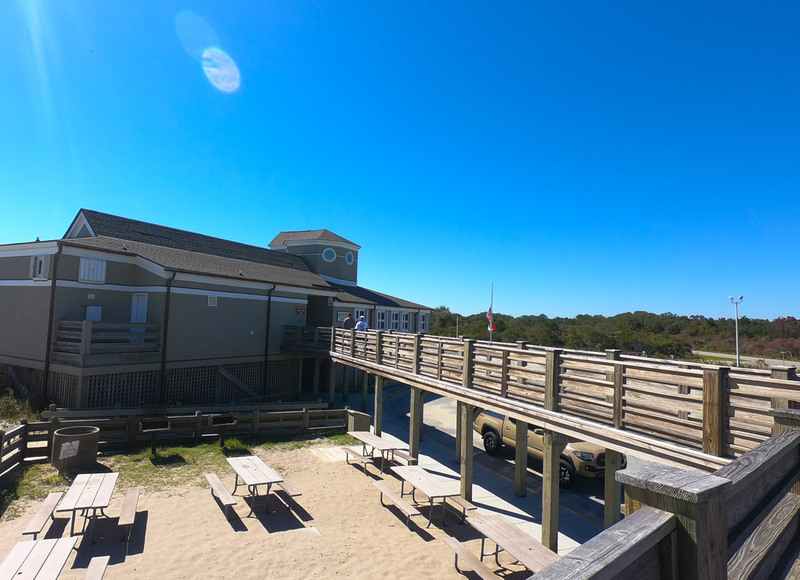 Pack a picnic lunch and sit under the shelter that overlooks the Cape Fear River waterfront. 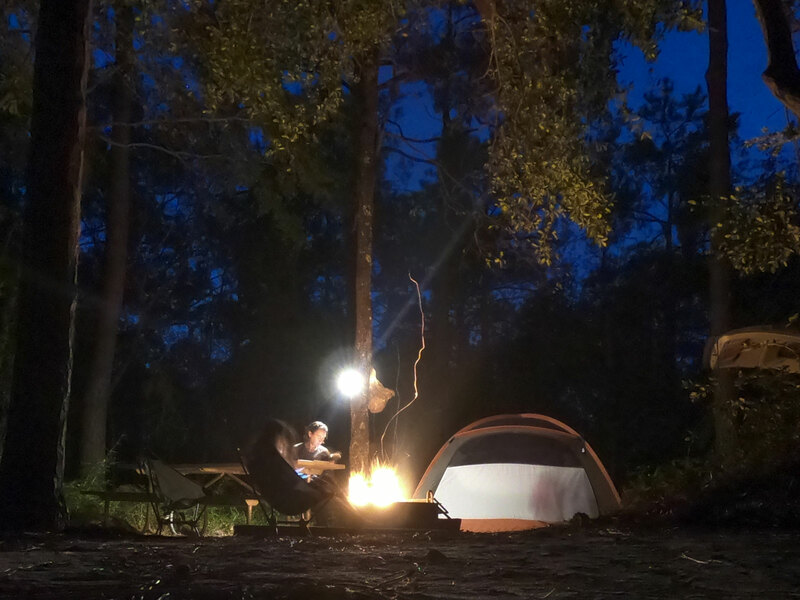 Keep a clean campsite - raccoons patrol the campgrounds. Bathrooms - bit rundown, but clean. Visitor Center Hours: Tues-Sat 9am-5pm; Sun Noon - 5pm. Closed Mon & state holidays.